I want to live at Cavalier Crossing. What's the next step? 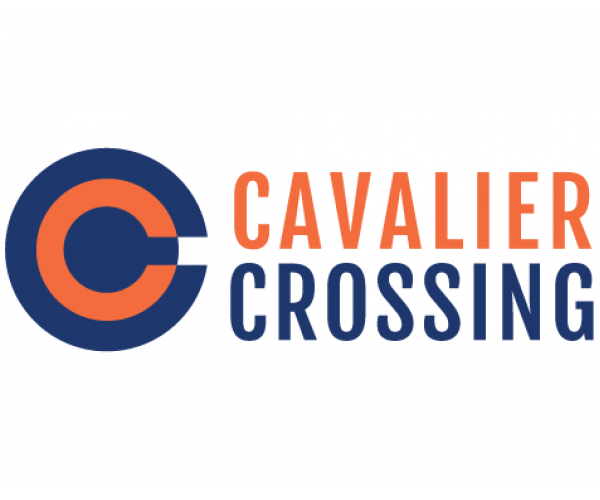 We are so excited that you've chosen to join the Cavalier Crossing community! You can quickly and easily complete your application and sign your lease from the comfort of your couch at home, or if you prefer to sign in person, you can walk in to our leasing office anytime during office hours (M-F 9-6, Sat 10-4, Sun 12-4) and speak with our wonderful leasing professionals.To complete the process you'll need your driver's license or photo I.D., and a credit or debit card for your application fee ($45). Plan around 30 minutes to complete the lease signing process. Is there a Move-In Fee or Application Fee? Yes, there is a $45 application fee and a $75 service fee that can be paid by credit/debit card, check, or money order. Do I need a guarantor to co-sign on my lease? We recommend a guarantor for every resident under 25. If you choose to sign your lease without a guarantor, a deposit equal to 1.5x your rental installment will be due prior to moving in. A $250 deposit is due prior to moving in if you choose to sign with a guarantor. Your guarantor must be at least 25 and a US resident. We recommend a family member. Your first rental installment is due on or before your move-in date. Please review your lease in your Resident Portal account or contact our office for more information (614) 486-4222. If I pay in full, do I get a discount? No, but by paying in full you will avoid late fees for the entire year! Build your credit by paying your rent on time! Rent Plus enables you to build your credit by simply paying your rent on time. This means no additional lines of credit, no loans, no credit cards, and no high-interest rates. Simply pay your rent on time each month and Rent Plus will take care of the rest. Contact Cavalier Crossing's office for information on how you can set up your own account with Rent Plus and start building your credit immediately! Our furnished units feature full size, extra long beds. Can additional furniture be brought into the apartment? Absolutely! Your home is a representation of your unique tastes and personality, so your apartment is yours to decorate and furnish as you wish. Some restrictions apply with regard to permanent fixtures or changes that affect walls, appliances, or current furnishings. Refer to your lease agreement or speak to one of our knowledgeable Community Staff Members for more details (614) 486-4222. How do our rates compare to on-campus housing rates? We know that our community offers you the best value for your money, a great location, and incredible amenities, and we welcome the opportunity to prove that! When comparing our rates to on-campus housing there are many variables to consider, including floor plan layout, square footage, furniture, utilities, community amenities, and personal independence. When do I put down a deposit? If you sign your lease with a guarantor, a $250 deposit is due prior to your move-in date. If you choose to self-guarantee, a deposit equal to 1.5x your rental installment is due prior to your move-in date. Can I pay my rent with a credit card? Is there an extra charge? Yes! With your online Resident Portal account, you're able to easily view your balance, submit electronic checks, or pay with a Visa, MasterCard, or Discover Card online. Just log in to your Resident Portal and click the “Pay Rent" button. This will take you to our resident rent pay portal. You can even submit maintenance requests! Convenience charges do apply for credit card payments. Checks and Money Orders are the only forms of Payment that we can take in the office now. All utilities are included except electricity and gas. Can I request an apartment or roommates? Absolutely, the earlier you sign, the better chance you have of receiving your preferences. Yes, parking is available at no extra charge for both you and your guests. What if I need to cancel my lease? In the event that you need to leave us before your lease ends, you will be responsible for finding a person to take over the remainder of your lease term. Our supportive office can help you find the right person. A processing fee will be applied to your account once a new resident is approved. How long are your leases? Are short-term leases available? We provide 8- and 12-installment individual leases for August move-ins. 12-installment leases end in August, and 8-installment short-term leases end May 31st. What does individual lease mean? An individual lease means you are only responsible for your rent and bedroom, with shared responsibility for common spaces (living room, kitchen, hallways). This means that if your roommate transfers to a different unit or moves out unexpectedly, you're not financially responsible for their rent! You're only ever responsible for the lease on your bedroom. Cavalier Crossing offers roommate matching for anyone who doesn't sign with roommates. Each resident is asked to complete a matching card to share study habits, sleep habits, hobbies, location preferences, and other details to better assist us in the process. How close is Cavalier Crossing to campus? We are less than 3 miles from The University of Virginia, and 3.3 miles from Piedmont Community College. Bathroom Accessories - Shower Curtain, Towels, etc. Kitchen Utensils – Pots and Pans, Silverware, Dishes, Cups, Bowls, etc. As a courtesy to our residents, we do not allow pets in the community. Exceptions will be made for fish in up to a 10-gallon tank. Internet & wifi is included in your rent, so all you need to get connected is an ethernet cable and your computer. Once connected, you will follow a few easy steps to register your computer with our internet provider. All technical support inquiries should be directed to support@elauwitnetworks.com or call 1-800-611-9837. Will you send me a bill for my rental installment? We do not invoice for your recurring rent payments. It is your responsibility to submit your payment on time.